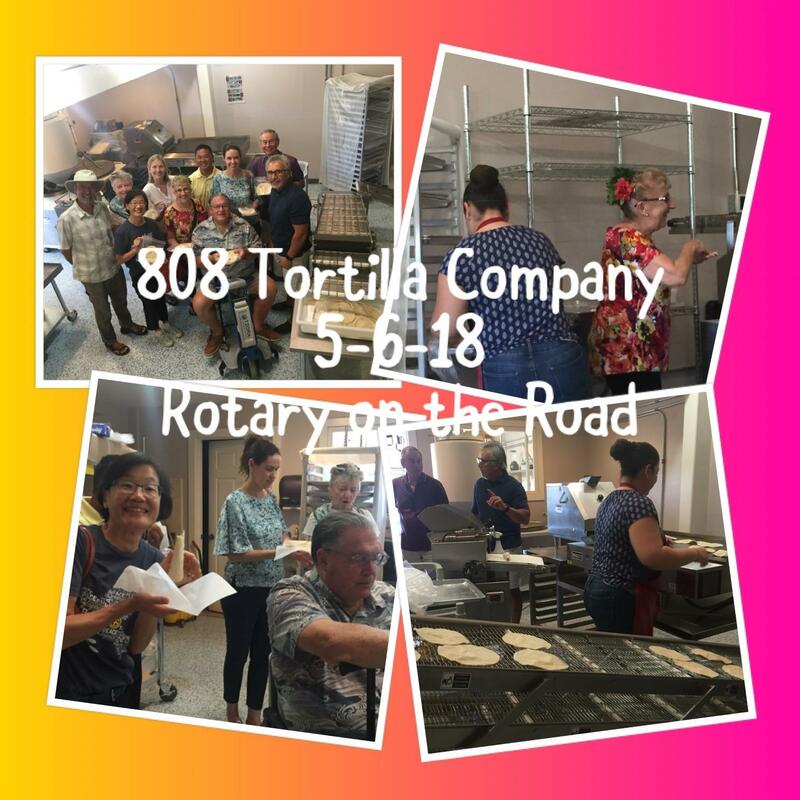 What a wonderful and surprising “Rotary on the Road” Vocational Tour to the 808 Tortillas Company on Wednesday May 6th. We were warmly greeted by owner Danny Sandoval who provided us with an in-depth presentation about making his wonderful “hand crafted” tortillas. From the bags of flour and corn to the finished product he explained every step of the process to make these best-tasting tortillas. And then each one of us had a chance to make 6 of our own tortillas to take home! After the tour, we all proceeded to the Ono Tacos Food Truck for a great lunch. Thank you Vocational Chair Leanna Roberts for finding this “hidden gem” of a West Maui business for our tour!